I once happened to meet this person who said he was working for Google. I couldn’t believe what he said. Judging my reaction he said ” I know you do not believe me, just turn around and ask anyone there, they will tell you the truth”, and he pointed his finger in one direction. I turned around and looked in that direction. He was not lying. The other day, while walking back home from work, I noticed this van. I did not read what was written on them till I saw someone step out, counting cash. 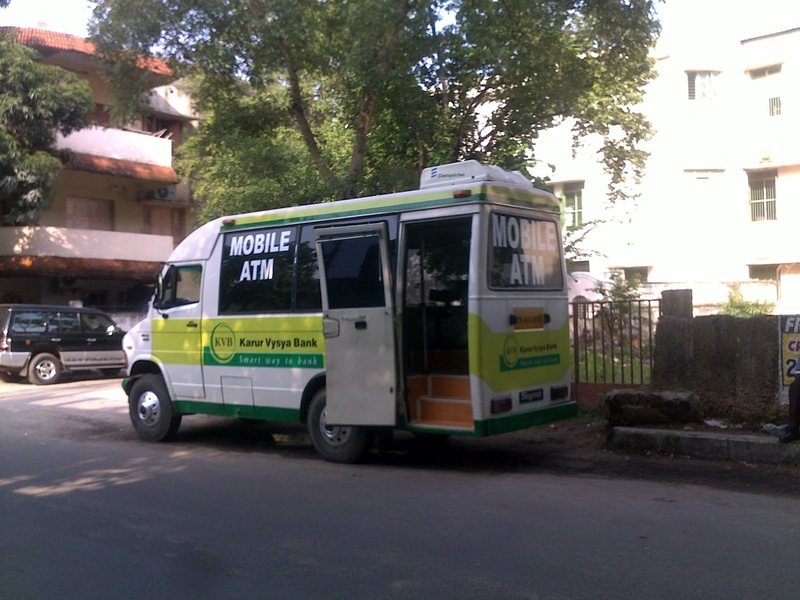 It was then that my brain registered the words “Mobile ATM”. Automated Teller Machine became Any Time Money. Now Any Time Money, even at your doorstep! 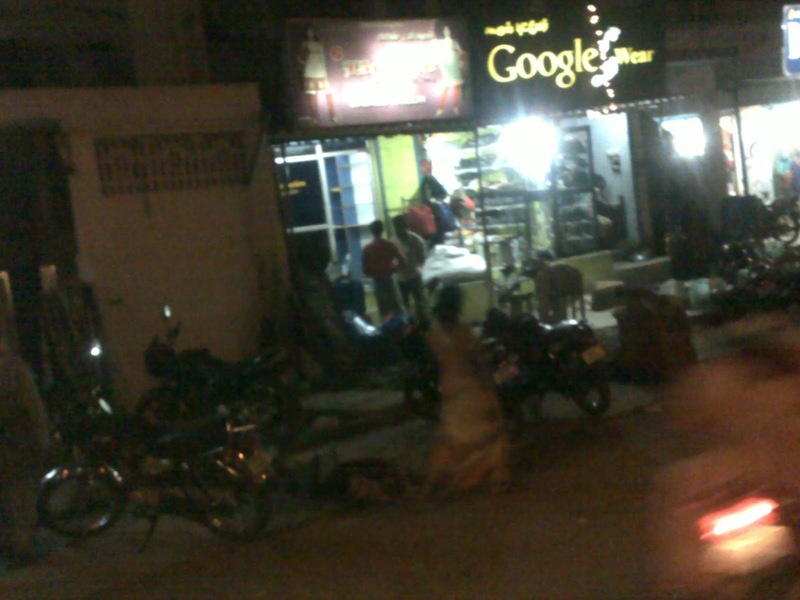 Cool….I remember seeing a google shop too in my last India trip. Google 😀 Haha cool clicks.. One could see a lot of interesting pieces like this in and around Chennai!!! He he. Yes Doctor :-). I wouldn't be surprised to find a new IBM here! Oh That's nice. Any idea where you saw that Shop? And as for the ATM, this was the first time even I saw something like this. And a few people did mention about a problem relating to posting their comments, I will check what the problem is. How do you manage to capture such intriguing happenings? Nice one. Those were interesting captures, Ash 🙂 Mobile ATM's? WOW! Felt like having just peeked into the future! Thank you Arti :-), Yeah even I was surprised. I tried recollecting before putting the comment, but no 😦 I think in Nellore may be..